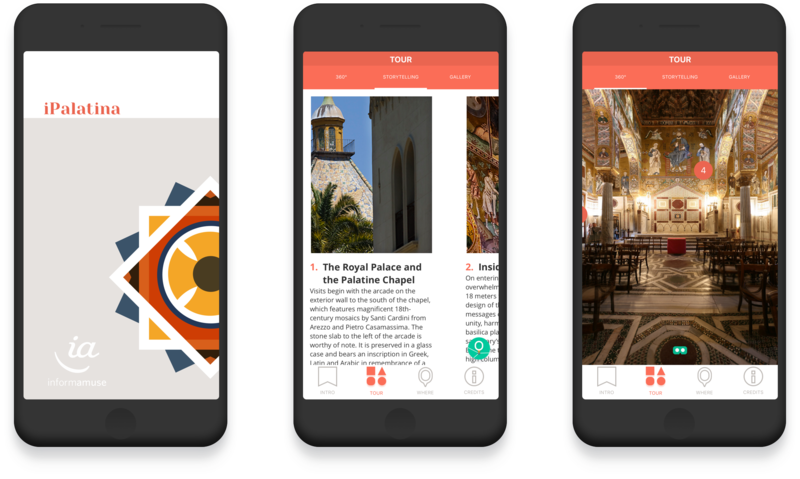 We designed iPalatina mobile guide in 2010 and updated it in 2017 to foster and enhance the enjoyment of one of the most interesting cultural sites in Palermo. The Palatine Chapel, the basilica with three naves of the Sicilian capital, is the best example in the world of Arab-Norman style and deserve to be explored from every angle. iPalatina app is usable on smartphone and with VR glasses.